Summer is here, children are getting out of school — or are already out — and many Nevada residents are busy trying to figure out where they will spend their summer vacations. This might not seem like the time to consider estate planning. However, anything can happen on a trip. Even though most people might not want to consider it, being prepared for the worst could provide extra peace of mind for everyone. Many people consider a will to be the cornerstone of any estate plan. Without one, it would be up to the state of Nevada to determine what happens to people’s property, and perhaps most importantly, what happens to their children. 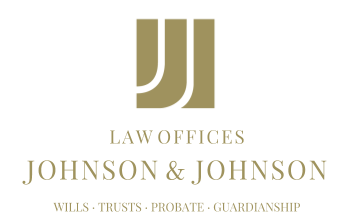 For those who have minor children, the most crucial aspect of a will is appointing a guardian. Otherwise, family members will need to petition the court to make this determination, and the individual or individuals chosen might not be the ones that the parent or parents would have chosen. The same could be said for who would inherit the property left behind and how it will be distributed. In order to carry out a person’s wishes, additional documents such as trusts might be required. If no will or other estate planning documents are left behind, the property will be distributed in accordance with state intestacy laws, which means that certain family members could be denied the inheritance they would otherwise have received. Therefore, it might be beneficial to do some estate planning prior to traveling this summer. For those who already have an estate plan, this would also be a good time to review it in order to ensure that it still reflects their wishes. Few people enjoy contemplating their own demise, but the short-term discomfort most people experience could save surviving family members additional time, money and frustration in the event of death.